Ever seen those billboards or commercials that brag that the whole thing was shot on a smartphone? You may have thought “yeah right.” Funny thing is, it was probably true! More and more producers working on tight budgets have turned to smartphones to meet their production needs on the cheap. Here is how you, too, can create videos and show them on your website using nothing more than your smartphone and a little know-how. Many people see the task of adding video to their site as quite daunting. They believe that producing high-quality video requires expensive equipment, editing software, and in-depth technical knowledge. Just a few years ago you would have been right about that. But, with the rise of the smartphone, today everyone walks around with a powerful supercomputer and video camera in their pockets or purses all the time. Of course, many people do not realize they can use it for anything other than deleting emails and sending texts. But, the great thing about using a smartphone to shoot video for your site is the ease of use. 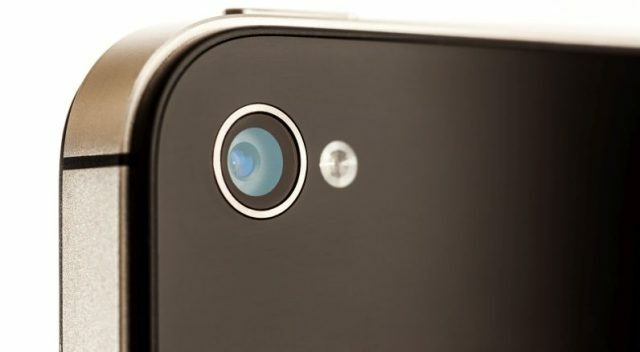 Unlike traditional cameras that require a deeper understanding of all of the various features in order to obtain sharp, clear videos, smartphones do most of that work for you. Still, some elements of a well-shot video will require a little thought and preparation. Few things could be more annoying than getting most of the way through a fantastic take, then having your phone vibrate or ring. To reduce the likelihood of this problem, simply put your phone in airplane mode or use a “Do Not Disturb” feature. Also, if you have a number of apps producing a lot of notifications, silence notifications for a while during filming. Also, be aware of how much space you have on your phone. If you have dozens of photos and apps filling up all of the available storage area, you may not be able to record much video. Save this content to your computer or the cloud before you start recording. If you have ever shot photographs indoors, you may already be familiar with the phenomenon of camera shake. With still photographs, the lower light levels indoors require a longer exposure, and movements as slight as your own pulse can cause the image to blur. Using a tripod and lights or flashes can counteract this effect by holding the camera much more still and reducing the amount of time required for the exposure. Video is much the same. Although the camera takes a series of images in rapid succession (rather than opening and closing a lens for a single exposure) the lighting and shake of the camera still impact the quality of the resulting images. You could end up with a bouncy image, blurring, or something so dark your audience cannot make out any details. Instead, use a tripod to stabilize your shot. Use photography lighting or natural outdoor lighting rather than the harsh, overhead fluorescents found in most offices. Make sure that the light fills the shot and does not leave any strange shadows or unintended dark spots on either your subject or the background. Also, make sure the light is bright, but not overpowering. This may require a little experimentation to get it just right, so build a little time into your schedule to make sure the image looks the way you want. Few things can foul a good smartphone video faster than holding the device the wrong way. You want to hold the phone horizontally, with the longest edges on the top and bottom. Otherwise, the video will be tall and skinny, and not conducive to a pleasant viewing experience on most screens. Of course, there is always an exception. Some platforms that host video for mobile devices prefer vertical formats. Examples include Snapchat and Instagram. If in doubt, research best practices for the way you want to use your video before you shoot. Once you have shot your video, you will probably need to do a little editing. Whether on your phone or on a computer, most good video editing programs work in a fairly similar manner. They will allow you to select the videos you want to edit, slice them at appropriate locations, splice, add title cards, and make other adjustments. While you can edit videos within a smartphone, computers make the job much easier and produce better final products. While there are many software solutions for editing videos, one of the best is also free: YouTube’s video editor. This solution just makes sense if you plan to host the video on YouTube. However, you can also use it to edit videos that you subsequently post elsewhere. A final consideration for your videos will always be where you plan to host them. This may require a bit of thought and foresight. Videos tend to be large, resource-hogging files that can dramatically impact a website’s storage, bandwidth, and performance. Although some compression is possible, shrinking video file sizes without significantly compromising video quality, even this solution has limits. The amount of video you intend to have on your site determines how much power your hosting account needs. If you use your website primarily for advertising, and you intend to have only a small handful of videos, you may find hosting those videos on YouTube or Vimeo, then embedding the content in your pages an adequate solution. Although this may split traffic between your site and the video hosting page, you will not run into issues like exceeding your hosting plan’s bandwidth or overtaxing server resources. For those who have either very small videos or who do not mind hosting them on a third-party site like YouTube, a Shared Hosting solution may be perfectly adequate. Alternatively, if you plan to show multiple videos on your site, you may need a hosting product with more horsepower. For example, if you plan to have several pages of tutorials, frequently updated video interviews, a stream of original video content, or simply wish to host the videos directly on your site rather than using a third-party site like YouTube, you will need a more robust hosting product. Fortunately, InMotion Hosting makes upgrading easy. So, you can increase your site’s storage and power as you grow your content and fan base. As you can see, it has never been easier to shoot your own videos and get them on the web. With smartphones, you can carry an entire video studio in your pocket. Just follow the steps above and you can have professional looking videos on your website in no time.